State Representative Dan Swanson passed legislation through the Illinois House to allow indigent homeless veterans one free complete copy of their patient records if those records are being used in support of a claim for federal Veterans’ disability benefits. Swanson, a US Army and Illinois Army National Guard Veteran, served as Superintendent of the Henry County Veterans Assistance Commission providing financial aid and transportation services to Iowa City, Iowa Veterans Hospital for Henry County Veterans. From December 1 2013 to November 30, 2014, 16 volunteer drivers drove over 47,000 miles, made 219 trips to Iowa City VA Center and transported 667 veterans for medical care. In that role, Swanson also provided financial assistance to veterans to assist paying utility, rent and purchase food. House Bill 4848 passed unanimously in the Illinois House on April 20 and will now proceed to the Illinois Senate. Proponents of the legislation included the Veterans of Foreign Wars (VFW), Illinois State Medical Society (ISMS), National Association of Social Workers (NASW) and the Chicago Coalition for the Homeless. 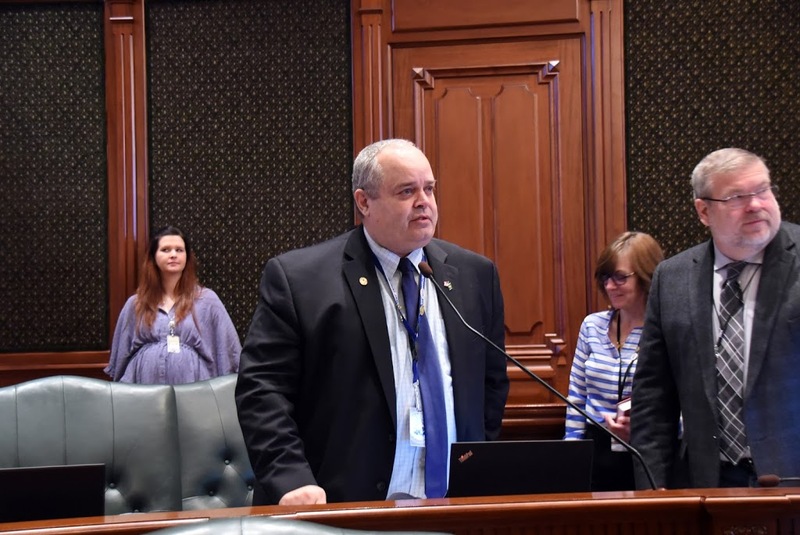 Swanson also passed House Bill 4849 last week, a bill ensuring that the Illinois Department of Military Affairs (IDMA) is within full compliance with federal laws pertaining to distribution of funds for the purposes of capital improvements and rehabilitation construction costs. HB 4849 also passed unanimously and is now in the Illinois Senate.